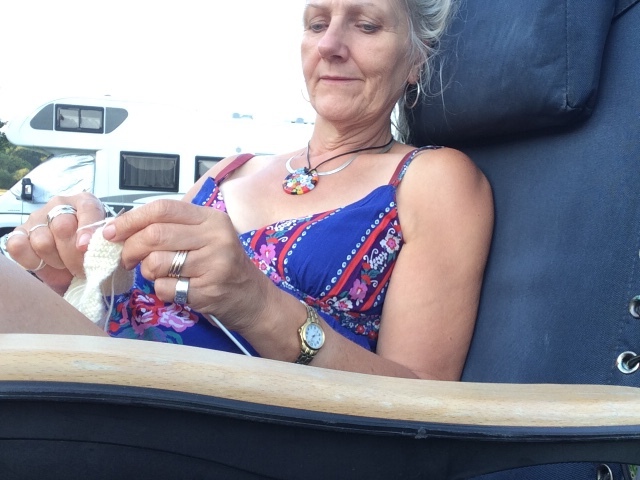 Caravanning and knitting. Sitting in a field whilst dinner is cooking on the BBQ. Knitting baby boots for Katie’s baby.